“St. John Chrysostom … wrote: ‘The bee is more honored than other animals, not because it labors, but because it labors for others” (12th Homily).’ So, I realized that the bees, like the clergy and religious men and women in the Church, work unceasingly for the common good of the hive and obey without question their superiors, and above all their queen. 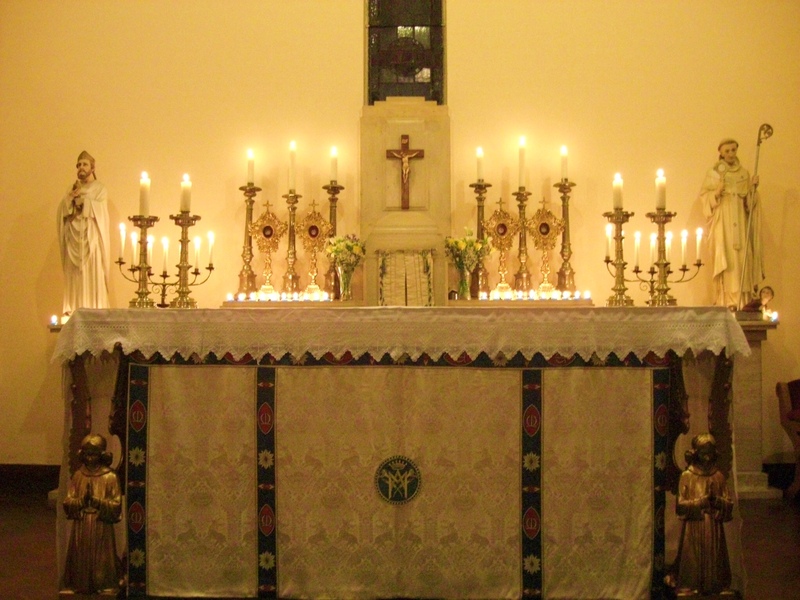 Posted on January 10, 2014, in life, liturgy and tagged altar of confession, beeswax candles, candlemas, candles, catherine croisette, catholic sacrifice, dom prosper gueranger, feast of purification, fr john berg, st peters basilica. Bookmark the permalink. 11 Comments. Very informative. I look forward to learning more of the rich heritage and symbolism of our beautiful Catholic Church. Thank you JConway. Chris Lauer did a great job with this guest post. I look forward to your comments on future posts as well. God bless! very well put. I know that in my diocese the former bishop here ordered the priests to use real 51% bees wax candles and real flowers, not of the plastic variety. Seems to me they would still follow the order, since the current bishop never resented the order. But this is good to know and the sacristan at my church will receive this new information. Thanks! I just ordered two colonies of bees (‘nucs’ as they are called) to start beekeeping. This article just adds to my enthusiasm for beekeeping, as it makes even more connections between bees and the Catholic Faith. Thank you for posting this. I’m pretty pleased to find this great site. I need to to thank you for ones time for this particularly wonderful read!! Thank you for the kind words and I look forward to your comments on future posts! This article vindicates a loathing I felt when visiting a church where the pastor had place racks of “electric candles” before side altars, eliminating the cost and trouble of wax votive lights. All you had to do was deposit you offering and press a button for a “light” to go on. It felt cheap and dead. A candle flame is “alive” and the wax it burns is “consumed.” At the end of the day, the priest only had to switch off all the daily votives and presto! They were ready to repeat next day. Ugh.